It's been an agonising wait for season six of Game of Thrones — and it's lasting even longer than usual, since the show's premiering in April instead of March this year. Somehow this extra month of waiting feels like a year all by itself. So we've kept ourselves busy by collecting all our major questions about Westeros that we think will finally be answered this season. Hopefully. Is Jon Snow going to stay dead? Let's get the biggie out of the way. First, let's all acknowledge that Jon Snow is totally, absolutely, 100 per cent dead — unless every single person who works on Game of Thrones has been lying to use for the last nine months. It's much more plausible that he's dead, and returns in one of the several ways resurrection can be accomplished in GoT, all of which boil down to "magic". Book readers have been hanging on this particular cliff since A Dance With Dragons was published in July on 2011; it will be so damn good to finally have this resolved. The most important moment in Game of Thrones may have happened years before the season started. Rhaegar Targaryen had kidnapped Lyanna Stark, enraging Robert Baratheon to begin the rebellion that would eventually win him the throne. Rhaegar put Lyanna under guard at a place called the Tower of Joy, where a young Ned Stark fought his way to his sister's side, only to see her die — but not before forcing Ned to make her a promise. What was the promise? Why did Lyanna die? Why exactly did Rhaegar kidnap her in the first place, knowing it would almost certainly lead to war? Rumours have it that season six will feature this pivotal scene as a flashback, experienced by Bran as he trains in the art of greenseeing. I'm not sure if it will answer all these questions, but any answers at all would be great. What else will Bran Stark learn? We sincerely doubt that the Tower of Joy will be the only key part of Westerosi history that Bran sees with his newfound powers. He's being trained by the Three-Eyed Raven (now played by Max von Sydow), and should be learning not only how to see the past, but possibly the future as well. What other major secrets, lost to time, could Bran uncover? Will we see the Horns? What will Sam learn at Oldtown? When we last left Sam, he was travelling to Oldtown with Gilly and her baby, in hopes of training to become a Maester at the Citadel. Specifically, he hoped to be able to find something that would help the Night's Watch battle the White Walkers, because the history books — like in any medieval society — can be pretty dodgy, and it's hard to tell what is legend and what is fact (and what legend is actually a fact). The novels make these discrepancies more overt, especially in regards to magic and the White Walkers, and it's implied that the Maesters have been hiding information about these things on purpose. Why? What bombshell (or bombshells) will Sam learn, and will he be able to get the information to the Night's Watch (and if he does, will anyone listen to him)? I think we can safely guess that the reason GRRM sent Sam to Oldtown wasn't just to give him a place to hang out — but instead to discover some knowledge that will completely change the Game. Did Jorah give greyscale to anyone? While bringing the captive Tyrion to Daenerys in hopes of regaining her favour, Jorah Mormont contracted the plague-like disease known as greyscale, which is basically a slow form of petrifaction that also drives people insane. Also, it's highly contagious, but Jorah had no problem joining Meereen's gladiatorial games or entering Daenerys' palace. How many people has he spread the disease to? Is a plague going to descend on Meereen? Does Daenerys have it? Will the Boltons get what's coming to them? It's crazy to think about, but the Boltons have ruled Winterfell longer than the Starks have, at least on-screen; the Starks were rousted by Theon and the Iron-born in episode six of season two, while the Boltons took over Winterfell pretty much at the beginning of season three. While there's no promise that Game of Thrones will have a happy ending, it's a safe bet that at the end of the series we'll see the Starks back in charge, which means at some point we'll get to see Westeros' most evil jerks get their just desserts. Is this the season where it happens? Man, we hope so. What the hell is Littlefinger's plan? Now that Varys is helping Daenerys in Meereen (even if the Queen of Dragons is currently MIA) Petyr "Littlefinger" Baelish is currently the biggest mastermind playing the titular game. He's managed to take charge of the Eyrie and forged an alliance with the North, thanks to delivering Sansa to the Boltons for Ramsey to marry. It seems obvious that Littlefinger's endgame is nothing less than the Iron Throne himself, but how will he achieve this — or, more specifically, clear the path between him and King's Landing? Even if we learn the full scope of Littlefinger's scheming, surely the next phase will be taking place in season six. What will the Faith Militant do to Margaery and Loras? What are the Tyrells going to do? Will Dany finally come to Westeros? Where the hell is Rickon Stark? SERIOUSLY. 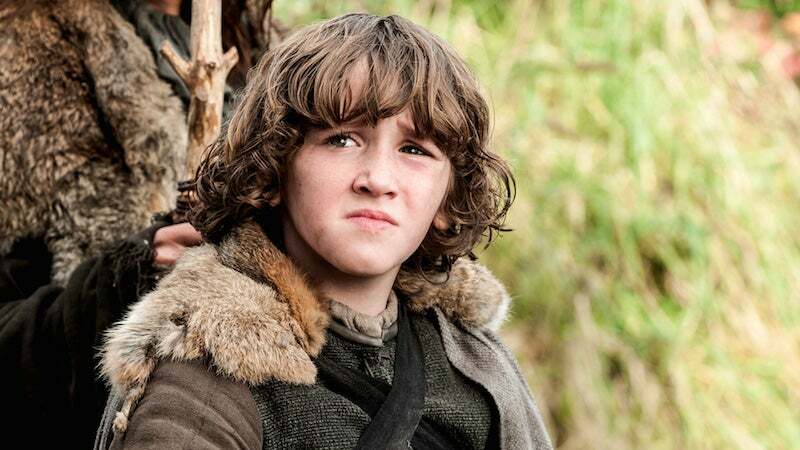 We last saw Rickon in season three, and we have zero idea what happened to him or where he went, other than the fact that Osha the Wilding and his direwolf Shaggydog went with him. There is no way Rickon's story is just done, so what is he doing, and when will he come back? Maybe most importantly, what will he be like when he returns? 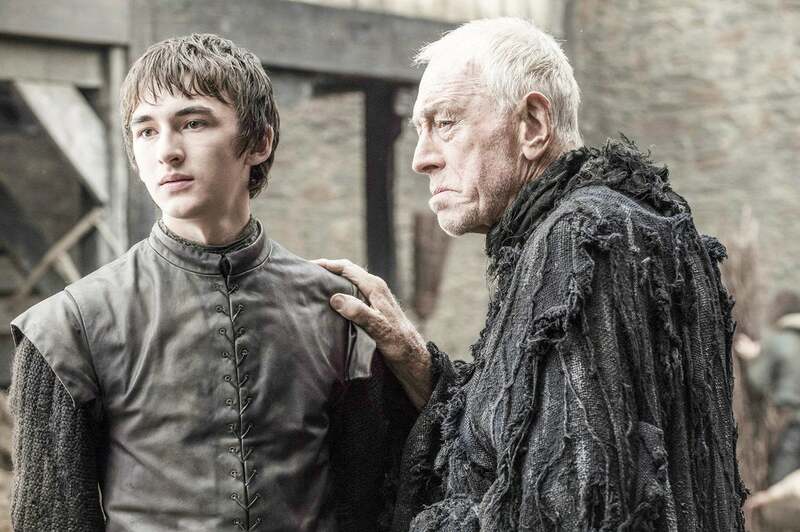 He was very, very young when he split off from Bran, and he already was kind of a hothead. Since then, the gods only know what has happened to him, and his only guardian has been a Wildling. He's not going to be another even-keeled Robb Stark, that's for sure.